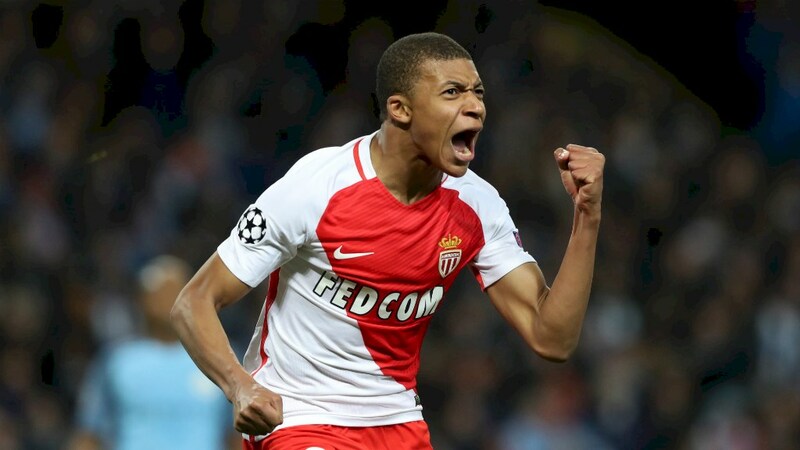 One of the transfer sagas of the summer appears to be drawing to a close with Real Madrid having agreed a deal with Monaco for the French wonderkid Kylian Mbappe for a staggering €180 million. According to Marca, the deal is initially worth €160 million with a further €20 million due in add ons. There has been no secret to Real Madrid’s pursuit of the French teenager this past year with Mbappe himself and his family having met the president of Real Madrid Florentino Perez earlier on this summer. Following the sales of Morata (€80m), Danilo (€35m) and James Rodriguez (€10m for two years potentially rising to €45m), Madrid have generated roughly €160 million for three squad players. This also covers the cost of the initial fee for Mbappe, much to the delight of Florentino Perez who is able to attain his new ‘galatico’. Commercially, this deal is certainly in the best interest of Real Madrid. Following the loss of the Colombian James along with the huge following he brought to the club, the arrival of Mbappe should fill the void sufficiently. The fact that Mbappe is undoubtly the most exciting player to emerge this past season should be enough to generate wild excitement across the footballing world. The fact he will be joining Los Merengues for a world record fee will only heighten this hysteria. Looking at the team itself, Mbappe is obviously going to play second fiddle to both Benzema and Cristiano Ronaldo. However – unlike Morata – the Frenchman would be more willing to bide his time on the bench for longer. The fact Mbappe can play both through the middle and out wide gives him a much better opportunity to play more and also offers Zidane more flexibility in his successful rotating system. With Theo Hernandez, Vallejo, Marcos Llorente, Dani Ceballos and now Mbappe joining Los Blancos on the back of three Champions League titles in four years, (not to mention the stream of promising young players coming through) there is clearly a strong present and future for the capital club.